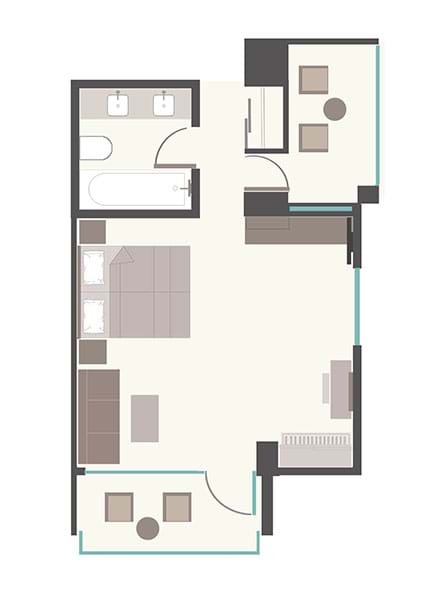 These spacious Junior Suites feature elegant contemporary interior design with the highest quality oak wood floors. 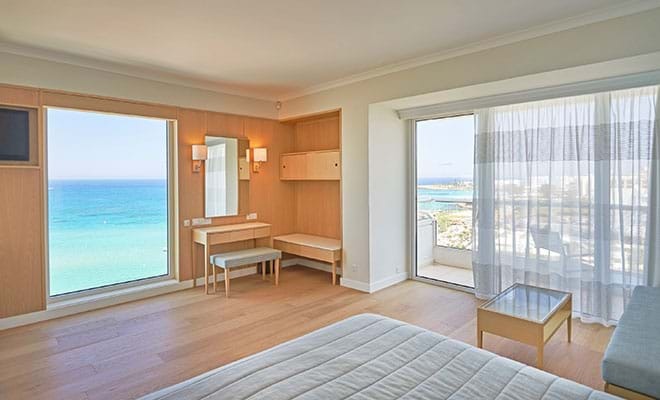 Sea views are absolutely stunning through the large frameless window which is electronically operated from the comfort of the king sized bed. 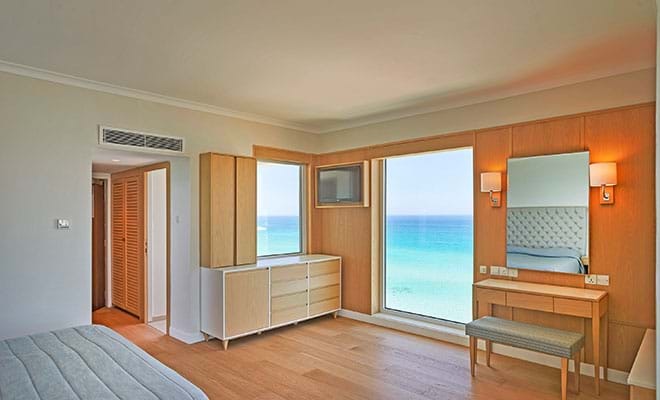 These suites also benefit from two balconies offering full sea views, a 32” wall mounted flat screen TV and complimentary use of bathrobes. 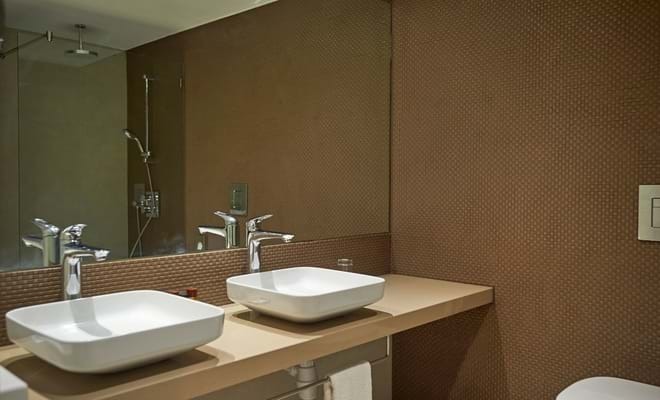 The luxurious bathroom features two elegant washbasins, walk-in rain shower system, complimentary use of bathrobes and toiletries.